The month-on-month sales data of Jeep Compass shows its poor performance. 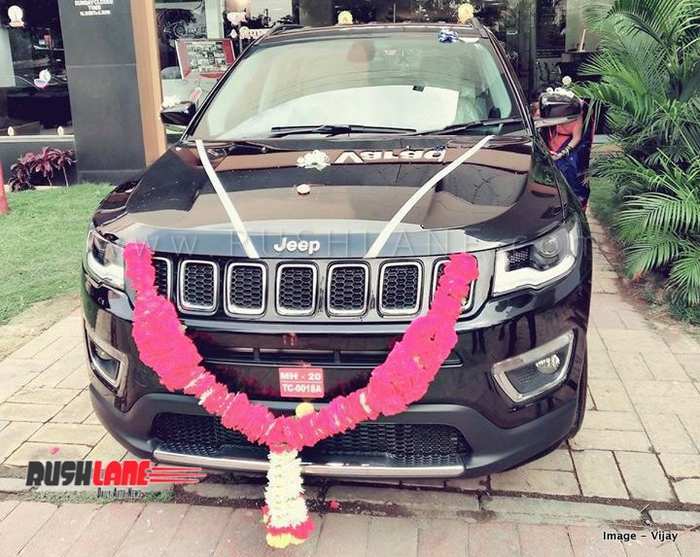 After receiving good initial response, demand for Jeep Compass has steadily declined. Jeep Compass was launched on July 31, 2017. Sales through the latter half of 2017 and early 2018 were quite promising, but sales started to dip during the last few months of 2018; which also continued into the new year. Mahindra XUV500 has proved a good enough rival to the Jeep Compass. In January 2019 sales of the XUV500 were double that of the Jeep Compass, which stood at only 1,267 units as against sales of 2,659 units of the XUV500. And with Tata Harrier now launched, Jeep Compass sales could further decline. Taking into account sales in 2017 from July to December, total sales of the Jeep Compass stood at 13,139 units. Q3 2017 figure stood at 5,106 units and Q4 figure at 8,033 units. Early 2018 saw sales at 6,129 units in Q1 2018 and at 4,904 units in Q2 2018 with total H1 sales at 11,123 units. In July 2018 sales were at 1,201 units, 28% higher than 935 units sold in July 2017, while since that month, sales continued a downward spiral to negative growth in each month thereafter. In August 2018 sales dipped to 1,303 units, down 35 percent. In September 2018 sales stood at 1,196 units, down 44 percent as compared to sales of September 2017. This brought Q3 sales down from 5,105 units in the 2017 period to 3,700 units in Q3 2018. Sales of the Jeep Compass in October to December 2018 continued to see a significant dip. October 2018 sales dipped 53 percent from 2,455 units sold in October 2017. It was the same case in November 2018 when sales dipped 59 percent. In December 2018 sales fell 58 percent to 1,150 units. 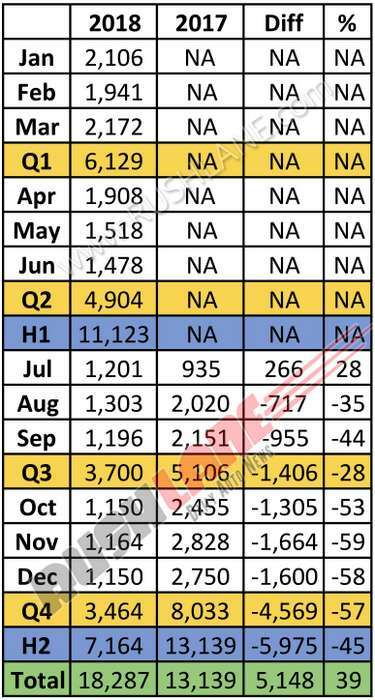 These dismal sales took Q4 2018 total to 3,464 units as against 8,033 units sold in Q4 2017, down 57 percent and H2 sales down 45 percent from 13,139 units sold in H2 2017 to 7,164 units sold in H2 2018. In 6 months of 2017, Jeep India sold 13,139 Compass – at an average of 2,189 cars every month. In 2018, the company sold 18,287 cars, at an average of 1,529 units a month. That’s a loss of 660 cars a month. Jeep is actively trying to push Compass sales. In the recent months, they have launched new variants with added features. They have created new TVCs and increased marketing, etc. But the increase in sales is not being noticed. In Jan 2019, sales of Compass stood at 1,267 units. This when compared to sales of Jan 2018, is a decline by 839 units.